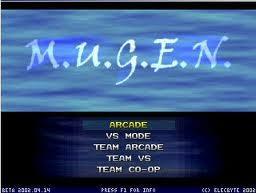 Elecbyte released their customizable fighting game back in 1999, and the “M.U.G.E.N.” game engine was released in 2001. Ever since then, fans have been inserting custom character animations, levels, and other game objects into the MUGEN engine for them and their friends to play in casual and competitive matches. 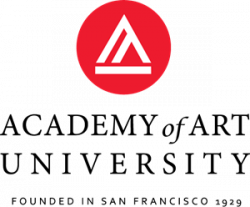 Users have the freedom to work with text files, graphic files, and even sound files to create the fighting game of their dreams. Keep reading for an analysis of all the features MUGEN offers artists and players. Elecbyte actually claims that it has forgotten what the acronym M.U.G.E.N. stands for, but many are keen to note that “mugen” in Japanese means “unlimited” which is pretty fitting. This game engine is as versatile as it is old, and it’s great that it’s designed to be used by artists with little or no programming experience. The full MUGEN license can be read in the ReadMe file that’s included in the download, but all that most users need to know is that it’s free for non-commercial uses. As for the third party tools that are available for MUGEN, it has an official community Wiki page that links to several programs. Customizable title screen, character select screen, stat bars, sound effects, fonts, and more. Characters can have any number of sounds and sprites; only limited by your PC’s memory. Choose from multiple resolutions, ranging from 320x240 up to full HD at 1920x1080. Artists can also create custom cutscenes, intros, and endings. Game engine uses up to 7 buttons for each character, including regular moves, special moves, super moves, projectiles, special effects, etc. Can include and customize move cancels, combos, moves with multiple parts, and even throws. What your character can do is only defined by a scripting language and your imagination. Even though MUGEN was designed primarily for making fighting games, its users have also created platform games and shooter games with it. It’s possible to create games of other genres with MUGEN, though they would be more challenging projects. Title screen F1 info box text can now be customized in system.def. SND files with invalid WAV files now log a warning instead of causing MUGEN to abort. CNS: Fixed associativity of := for fvars. Also fixed a bug that caused some sounds to be played on incorrect channels or with incorrect stereo panning. Storyboard: Replaced broken soundX.volume parameters with soundX.volumescale. Fixed incorrect character positioning in win and results screens. Some documentation was updated and the license has been updated to permit inclusion of the MUGEN executable into free non-commercial bundles. See readme.txt. If you’re interested in an older version or just updates, then you can view the full MUGEN changelog here. Because MUGEN is a freeware 2D fighting game engine, that means Elecbyte doesn’t really get involved with its community and instead encourages fans to create their own forums and sharing centers online. They do have an extensive amount of programming guides on their Wiki page, but when it comes to finding gif sprites or level backdrops for you to try out in MUGEN, you’re better off browsing through large fan communities such as MUGENation. If it’s simple introduction tutorials that you’re in need of, then you should read Elecbyte’s MUGEN tutorials here. Whether it’s creating a playable environment for your 2D animations, or just a desire to see already existing cartoon characters battle each other, MUGEN is capable of bringing your imagination to life.